At Pride we were the first built-in wardrobe company to design and install hinged wardrobe doors, and that was 30 years ago! 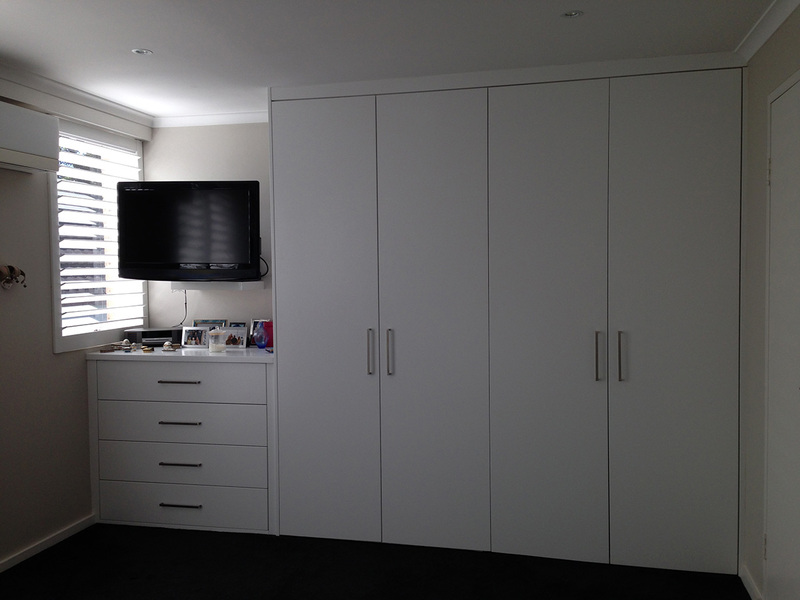 Our designs are totally flexible to ensure our wardrobes will fit anywhere. We can match the mouldings of the wardrobe with those already in the room. A wide choice of doors and door finishes is available to complement your decore and style of home whether it be contempory or traditional. Federation doors are made from solid customwood. The standard patterns are single panel, 2 recessed panels or 4 recessed panels, but any pattern is possible to match doors with your homes existing doors. The recessed panels can have either an inlaid moulding (Victorian look) or be left plain (Art Deco look). The doors are available primed for a Do-It-Yourself paint job or we can finish them for you in a polyurethane painted finish - generally satin finish, but high gloss is also an option. Routered panel doors are made from high quality moisture resistant MDF. There are dozens of patterns available from a simple ‘shaker’ style to a more detailed ‘federation’ style with a moulding. To gain a greater understanding of this look, visit Tesrol’s website. Flush panel doors are a very contemporary look, combined with statement chrome handles, they are the ‘doors of the moment’. This look works equally beautifully in sleek modern homes, where the simplicity of the doors is not competing with the existing decorative features of the room, leaving patterned ceilings and architraves to be the ‘star’. 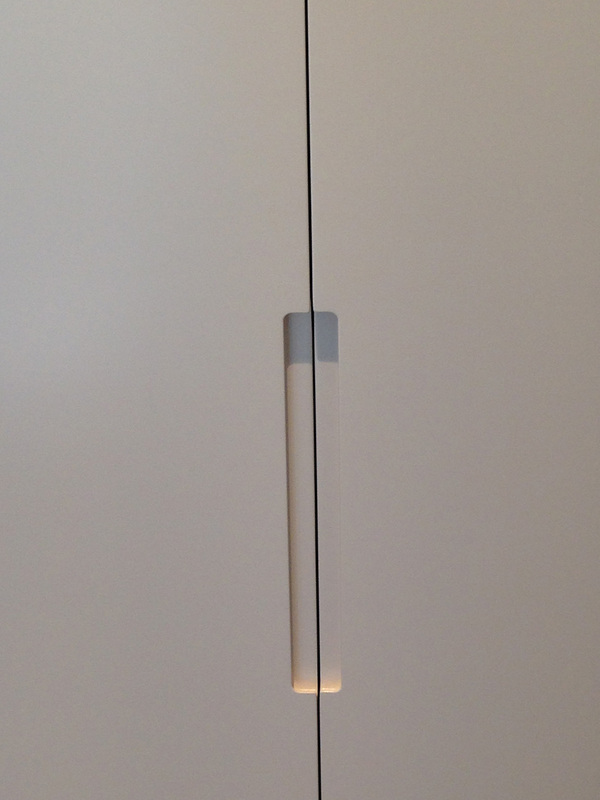 Recessed handles set discretely on the side of the door is a popular and sophisticated look. Handles, visit Artia for a full catalogue of choices or click here. A visit to our showroom is recommended to ensure you choose doors to reflect your own personal style.